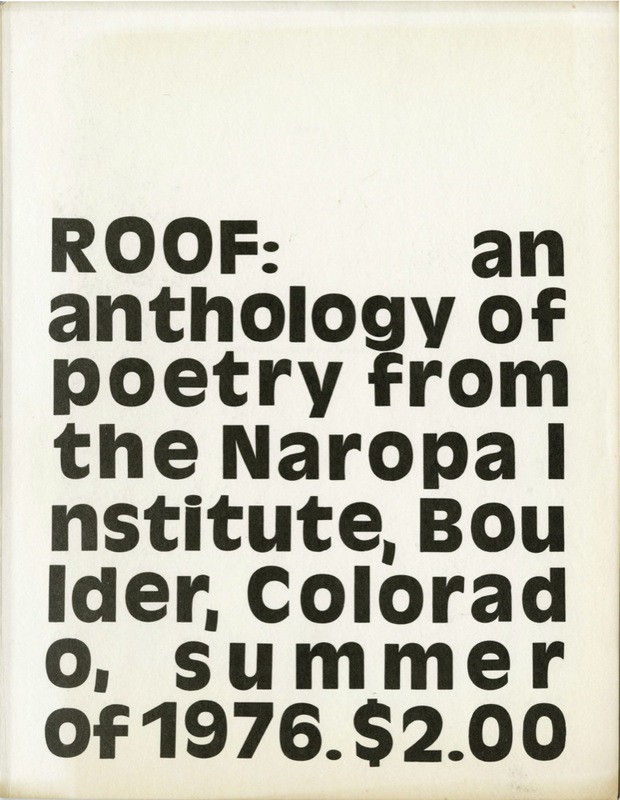 Founded in 1976 by James Sherry to anthologize writing by poets working at the Naropa Institute, Roof magazine played a key role in the development of Language poetry. 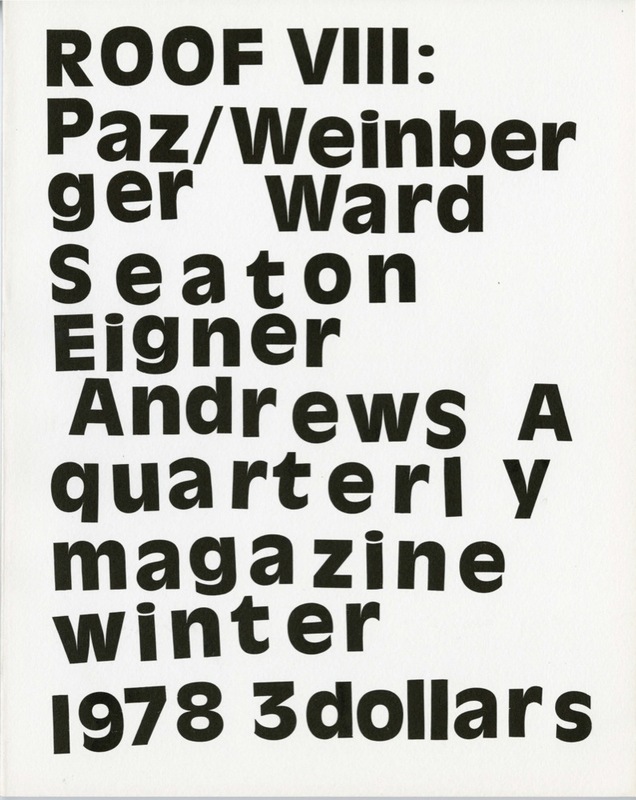 Ten issues were published in New York City between the summers of 1976 and 1979. 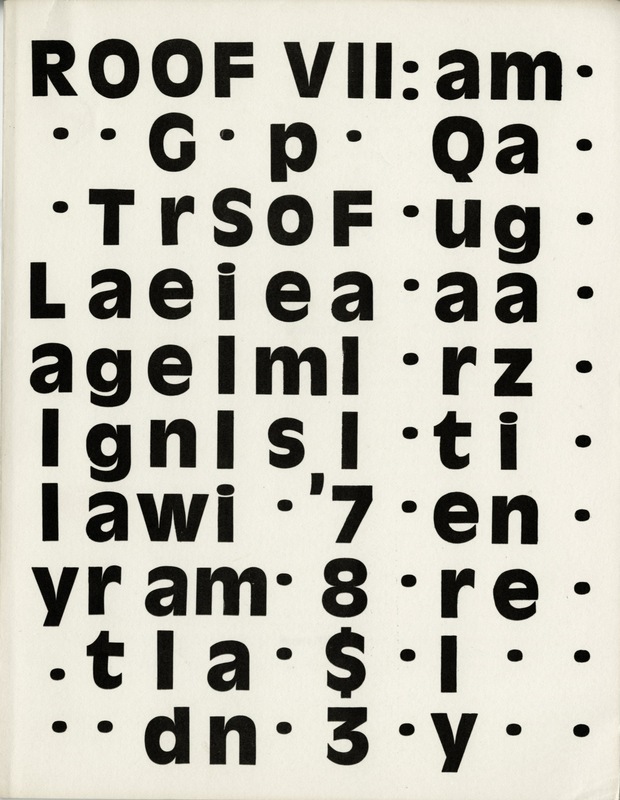 The magazine was designed by Lee Sherry in uniform white with blocks of delicately askew Antique Olive Black “press type” neatly filling the large format 8.5” by 11” dimensions. As individual poets are given larger portions in successive issues, the reader can follow Roof’s transition from the magazine to the Roof Books platform still publishing great works of poetry today. The cornerstone to Sherry’s Segue Foundation, Roof magazine charts “the best in language” at this crucial turning point in twentieth-century poetry. Edited by Sherry alongside associate and coeditors Tom Savage (Nos. 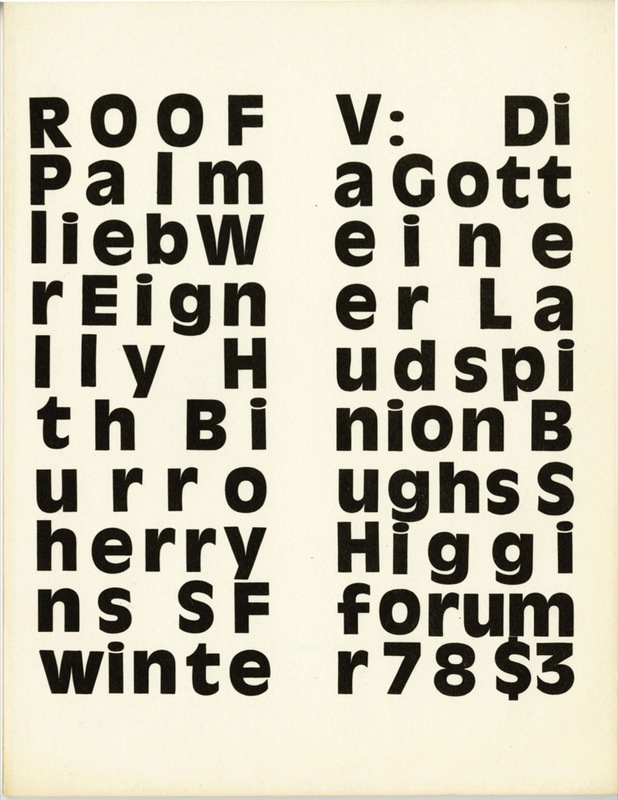 1–3, contributing throughout), Vicki Hudspith (Nos. 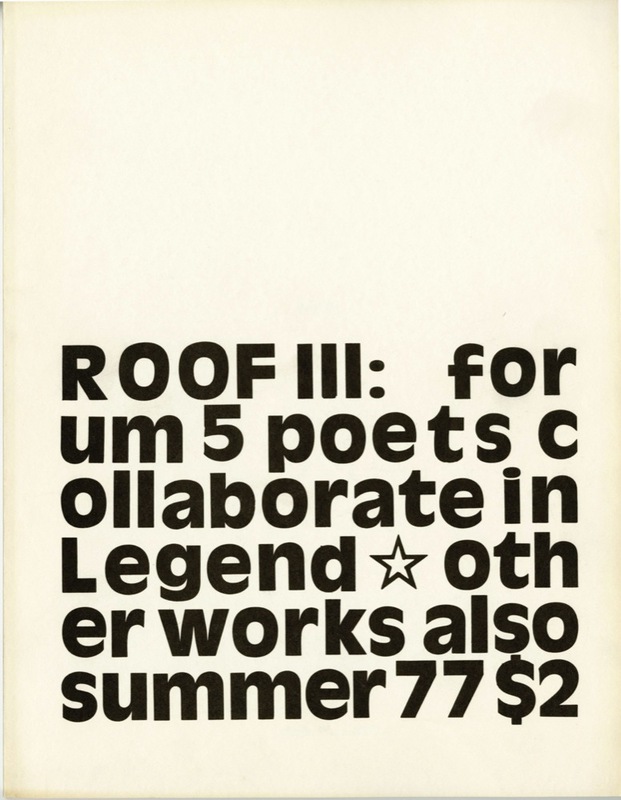 4–5), and Michael Gottlieb (Nos. 6–10). 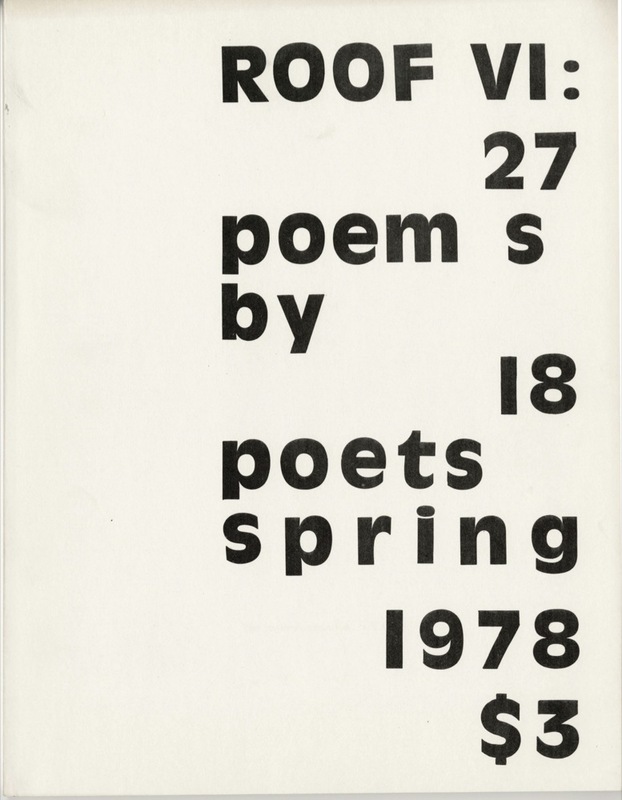 From New York City to the Bay Area and Washington DC, the magazine houses an emerging community of writers in the late ’70s for a fantastic — and remarkably focused — set of poetic explorations. Full issues are available for download or browsing below. 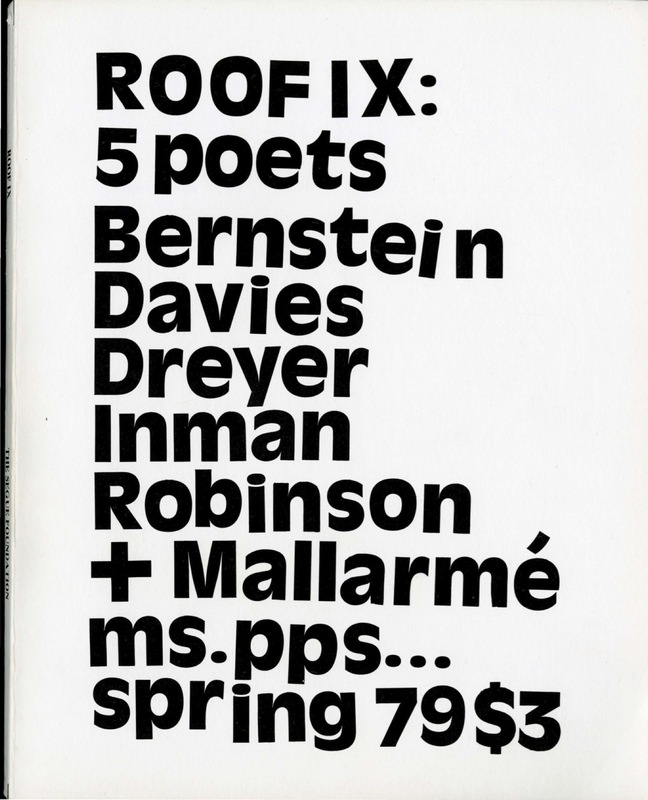 The index to each issue attempts to retain the formatting of the contents as printed in the magazine, including original pagination. 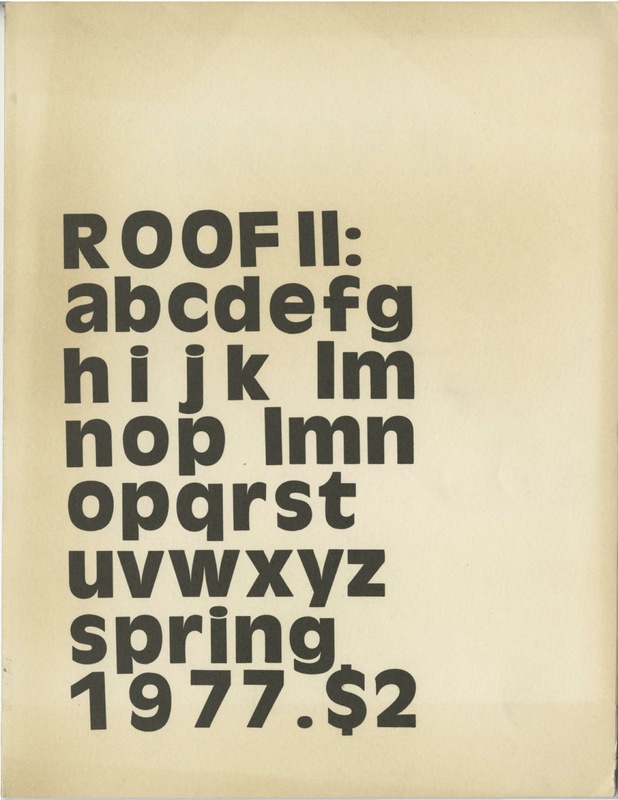 Each PDF is fully searchable and bookmarked for easy navigation to individual pieces within the magazine. 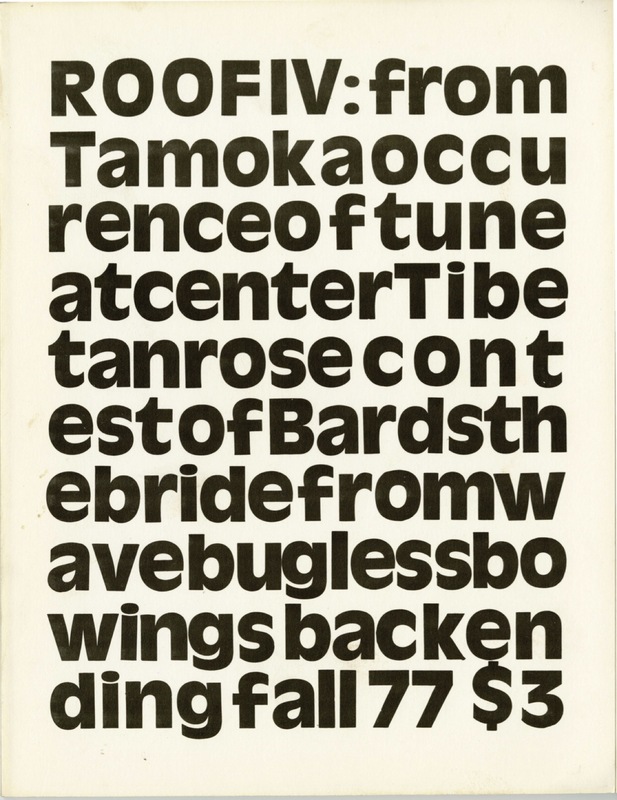 This reissue is edited by Danny Snelson with support from Craig Dworkin, James Sherry, and the Kelly Writers House. This reissue is presented in partnership with the Eclipse archive. 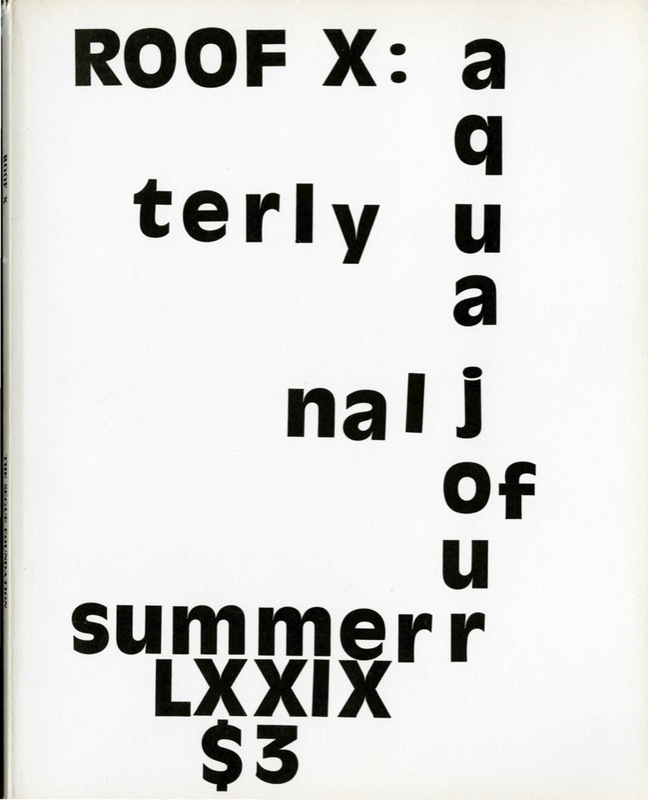 For a mirror edition of this reissue including a full hypertext index to the magazine, please follow this link. The complete set of ten issues is available for download here: [ZIP, 461 MB]. Special thanks to James Sherry and Craig Dworkin for supplying the magazine, to Ben Filreis for his scanning work, and to the Kelly Writers House for their constant support.